What is ERISA Law and How Does it Impact Employers? 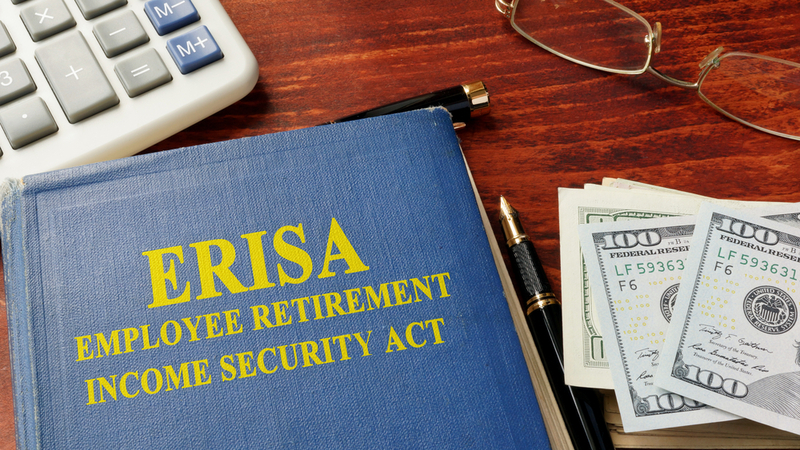 ERISA is an acronym that stands for the Employee Retirement Income Security Act. The ERISA Plan is a federal law that was passed in 1974 with the intent of helping protect the funds and assets of retired people. ERISA also has protections for employers as well. The ERISA law does not impact all employers, and it does not require employees to offer guaranteed pensions, 401k’s and the like when an employee stops working. Retirement means something different for everyone. Each employee will need a personalized retirement plan. It’s critical for employers to understand which ERISA regulations apply to them, how to stay compliant, and how self-funded plans could be impacted by federal retirement policy. Who Should Comply With ERISA Law? Only private organizations like corporations, small businesses and nonprofits are required to comply with the regulations of ERISA. Public sector pensions and retirement plans are not included under ERISA regulations, and neither are religious establishments like churches. Additionally, any employee-employer negotiations made with non-U.S. citizens are not subject to the rules of ERISA. Under ERISA regulations, employers are not legally obligated to provide their employees with retirement plans. Instead, ERISA rules set the groundwork for specific types of retirement plans. The private sector retirement benefits are affected by ERISA rules only if the employer designates that the benefits were “voluntary policies” and that the employee chose to use them. What Are the ERISA Requirements? Code of Conduct: ERISA laws set standards and guidelines for professional conduct from organizations and fiduciaries such as health managers. Proper Reporting: ERISA policies require reporting to the government – such as specific retirement plan details. Disclosures: Participants in employee-sponsored plans are legally entitled to disclosures such as what kind of benefits they can get, who can use the benefits, any plan restrictions such as medications, doctor visits or surgery coverage. Safeguards: Employers are required to submit both claims and a written appeal policy in writing to the government. Best Interest: In addition to the employee protections we’ve already mentioned, ERISA also prevents discrimination when information is being a collection on participants. There are additional ERISA requirements specifically for health insurance, but more on that later. When the ERISA federal regulations were first passed, lawmakers assigned its enforcement to three different government bodies – The Department of Labor, the IRS and the Pension Benefit Guaranty Corp. The Department of Labor is responsible for overseeing the duties of fiduciaries, which are typically retirement managers. Fiduciaries are trusted with the overall management of retirement plans, communicating plan details to employees, record keeping, and are responsible for reporting the necessary information to the government. The IRS enforces rules for participation funds, and the Pension Benefit Guaranty Corp. aims to insure the funds of private pensions. Is Health Insurance Impacted by ERISA? COBRA was passed as a safeguard for employees who are perhaps in between jobs. Under COBRA rules, employees enable former employees to keep purchasing the health benefits from their employers for up to 18 months. The children and spouses of eligible former employees can keep their coverage for up to 36 months. In the event of a divorce, spouses of former employees can also continue their insurance for a varied period of time. The exception to this benefits continuation rule is if an employee was terminated for gross misconduct or some other serious issue. The second amendment to the original ERISA regulations is known as HIPAA. Under the rules of HIPAA, health insurance exclusions for pre-existing conditions were eliminated or reduced when an employee gets a new job. COBRA and HIPAA are the most notable changes to ERISA regulations, but policy and industry needs change constantly. Health insurance and retirement plan regulations are in-depth and complicated. Staying compliant with these regulations can be a barrier to entry for many would-be small business owners, and healthcare adds another layer of challenges. Employers who use full coverage health insurance policies tend to have issues of compliance taken care of by the provider. But employers with self-funded health plans must address the bulk of these issues internally, which can present even more hurdles. This is why it’s imperative for retirement plan managers and risk assessors to be as up-to-date as possible with any policy changes. The best self-insured organizations have professionals dedicated to each aspect of benefit plan management and risk assessment. Why Should Employers Understand ERISA Requirements? Even the most well-intentioned and organized employers can make mistakes when it comes to staying compliant with ERISA requirements. As we previously mentioned, this highlights the necessity of assigning the task of compliance to someone within the company or hiring an outside source. Fees and punishments vary depending on which regulatory body governs a particular aspect of retirement plans, so it is better to be safe than sorry. If you have any questions about ERISA requirements, or how medical stop-loss insurance can save your business money, don’t hesitate to contact us today.